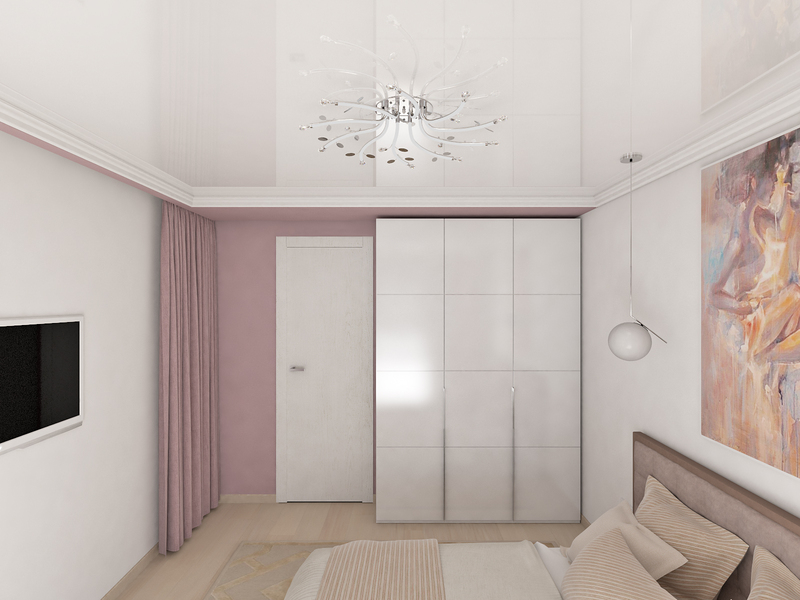 Modern bedroom render in soothing colors. The bedroom is the most intimate part of the house. Here we relax and rest from daily worries. 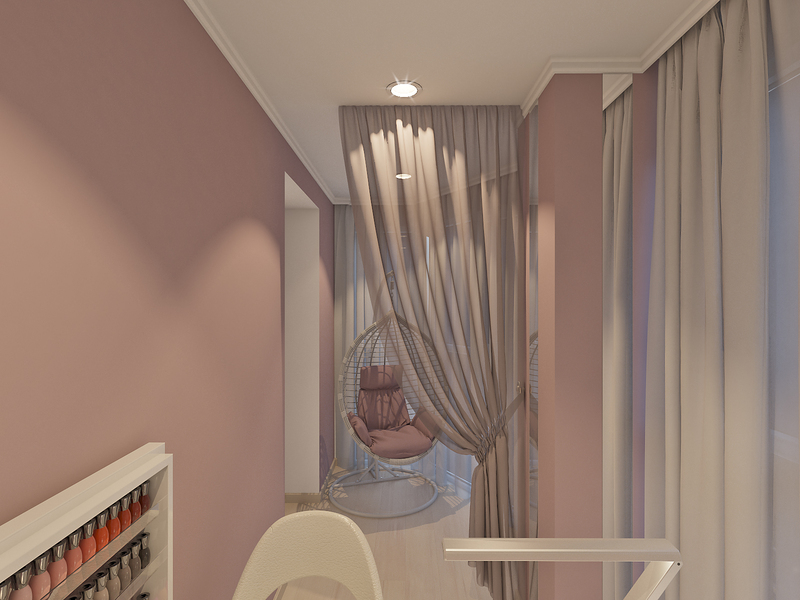 Therefore, the interior design of the bedroom should be appropriate: comfortable, light and warm. 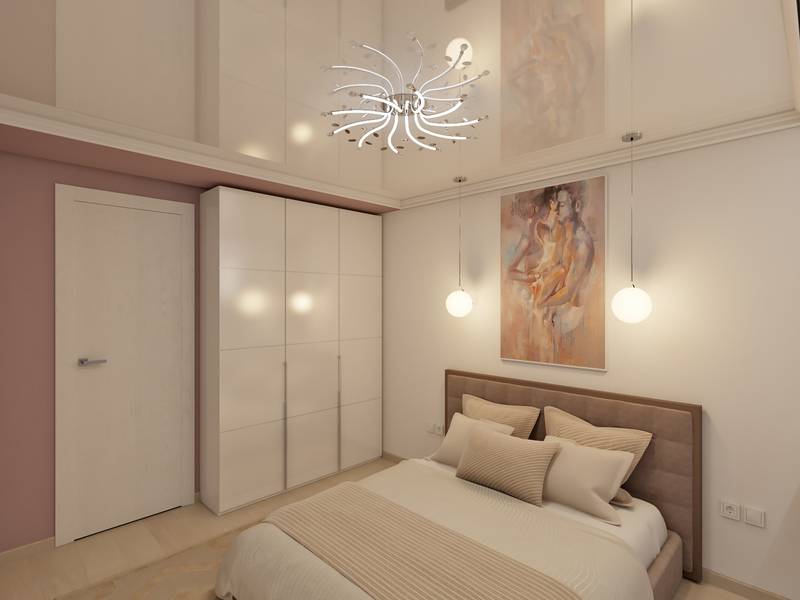 When you create a design modern bedroom render, consider two things: convenience of location switch and the appropriate light intensity. 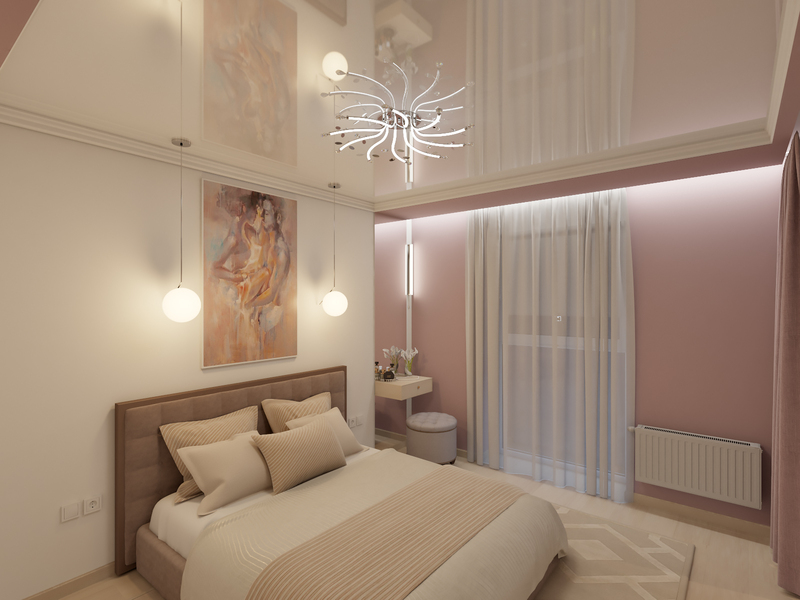 If you like to read, it is recommended to take care of the placement of special lighting series (table lamps, floor lamps), or at the head of the bed (BRA). It is worth thinking about and installation of switches next to the bed. It allows you to turn off the light without getting up from the bed. Follow the moderate illumination of the room. We recommend the use of LED technology (such lighting devices are free from flickering) of the warm spectrum (temperature from 2700 to 3500K). 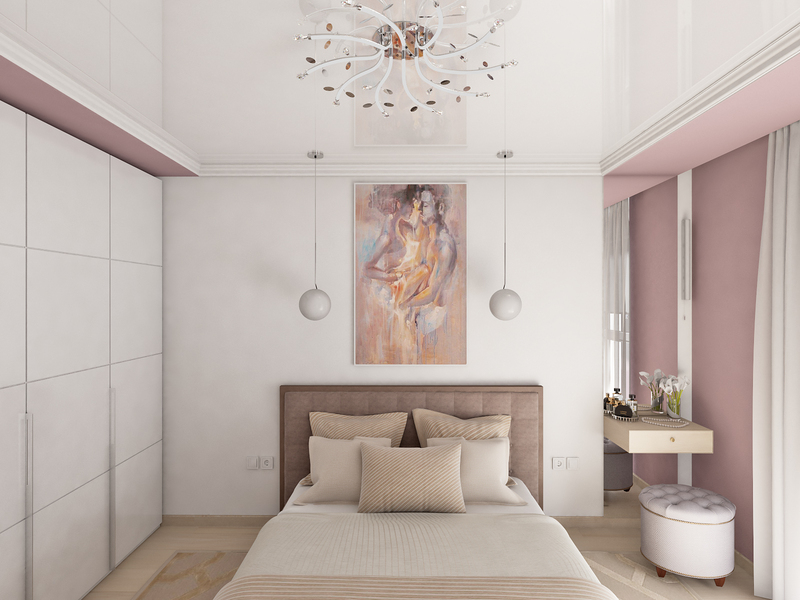 When you decorate the bedroom, you will find a cozy room in soothing colors, smoothly transforming into a bathtub on the balcony. In the same room, there is a double, comfortable bed. Along the edges of hanging wall sconces, which are perfectly illuminated at night. A large painting of lovers hanging over the bed. It blends harmoniously into the design. There is a pier at the left of the window. On both sides of the bed are located plugs and switches for convenience. Snow-white tulle complements this amazing design. 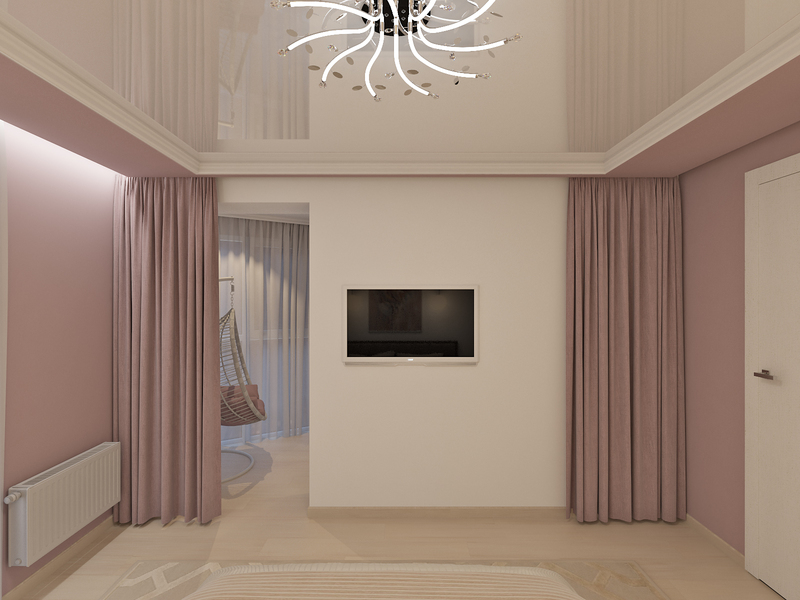 Ceiling designer did the tension and gloss that reflects the beautiful chandelier with petals. 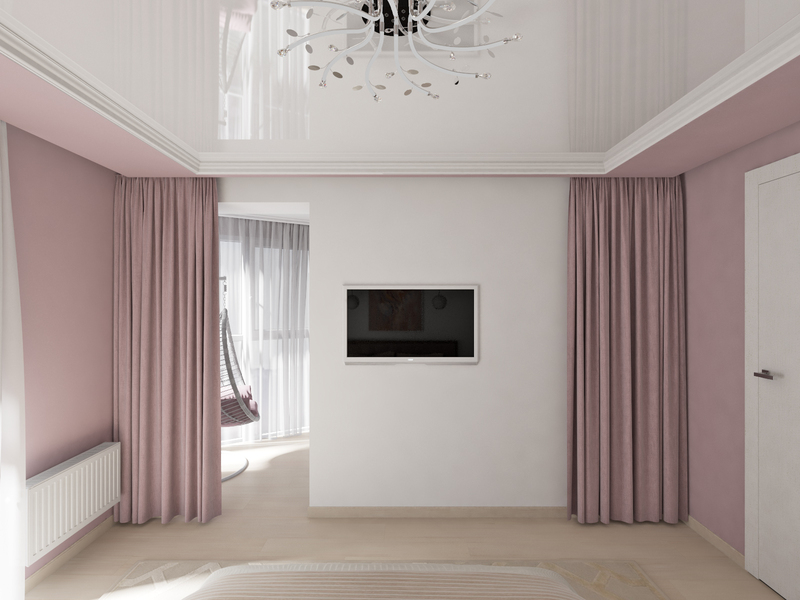 Opposite the bed hangs a TV, and on both sides of the hanging velvet curtains. The right side of the bed we see the snow-white wardrobe with three divisions. The door is white. Now we move on to the balcony. 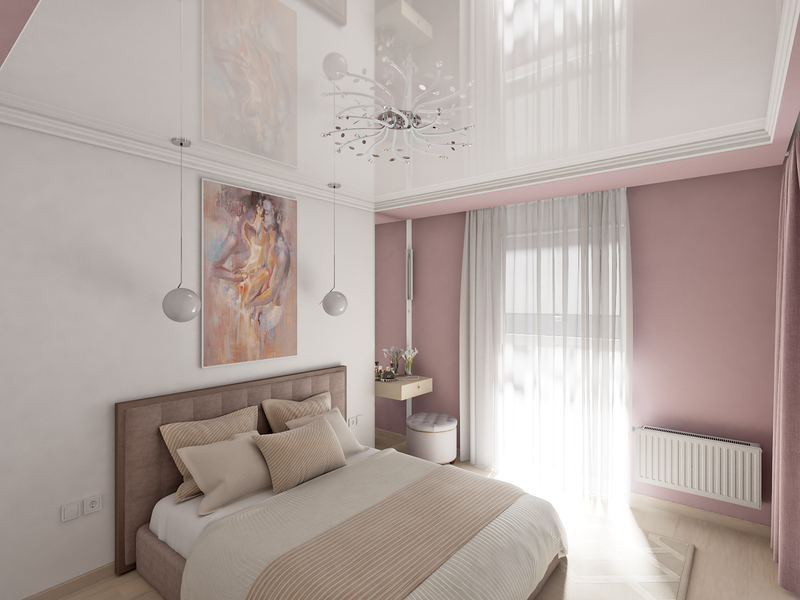 On render bedrooms, we see a beautiful picture. This is a rocking chair. It is possible to relax and enjoy the view from the window. Opposite placed manicure table for taking customers at home. What in our time now very fashionable equip balconies in the offices? We also see that the designer has placed mirrors on the column. A translucent burgundy tulle gives charm. On the ceiling, there are three spotlights.